This will get you covered. No VAT number needs to be included in the order. Your VAT number must be included in the order. Additional VAT 25% will be applied. GOT any QUESTIONS ABOUT HOW TO ORDER? Dependent on your address and the chosen shipping method, the shipping time is 4- 14 days. When we receive your order, we’ll immediately check the delivery options for you and send information about estimated delivery time in an email back to you. After you have let us know that you accept the delivery date, then we’ll email an invoice to you. After we receive payment of the invoice, you’ll receive the products within 4 – 14 days. We ship from any of our logistics hubs in the Netherlands, the UK, California or Australia that is closest to your delivery address. CAN I ORDER OTHER QUANTITIES THAN 10 PCS, 50 PCS OR 100 PCS? Yes, you can. Just email your order to hello@dbud.io and we’ll sort it out for you. WHAT ABOUT WARRANTY AND QUALITY ASSURANCE? For delivery and shipment tracking purposes, please enter: Street, Zip code, Country, Mobile number and Email. We think dBud is the perfect caring present and we want to make our contribution to the Christmas party! 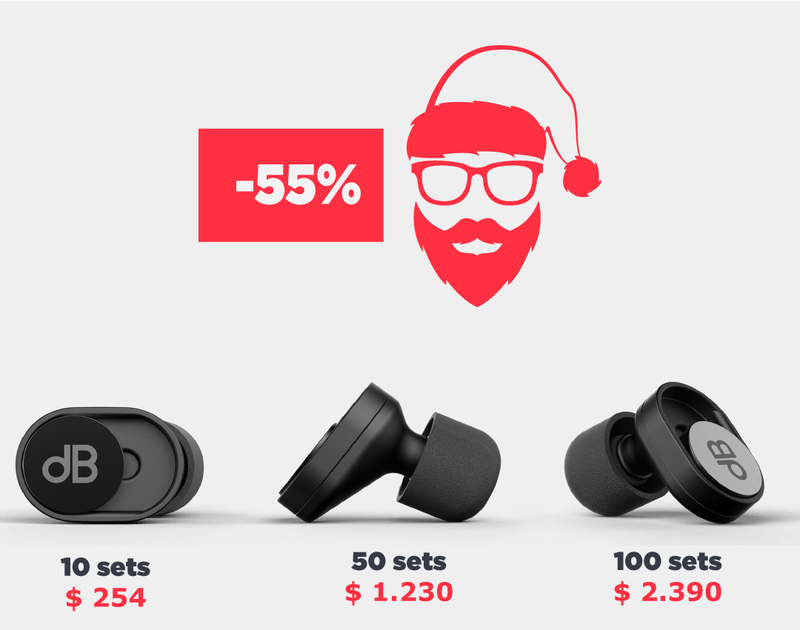 With these pretty amazing volume prices, you can get your whole crew geared up with dBuds! Or in heavy construction, production, manufacturing or aviation. Or in a chatty office. Show your awesome team some love and appreciation for a job well done in 2018. Or thank your clients for great collaboration and get ready for new projects in 2019. 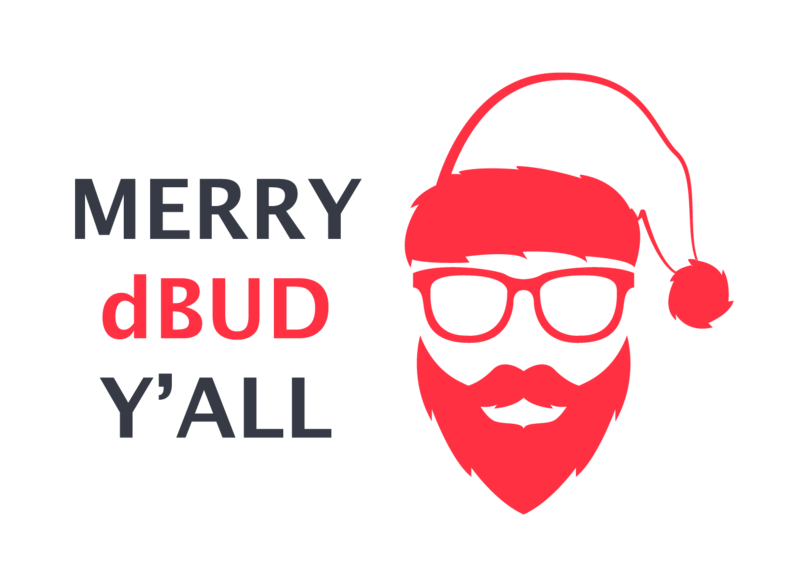 And you want to get some dBuds for yourself and your buddies. Then go ahead an you share this deal with to your boss, or the HR department or whoever that pays the bill!